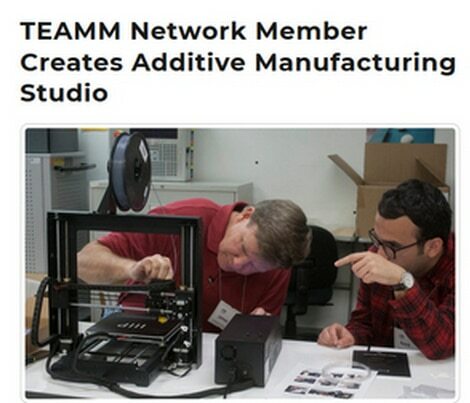 In August, AM News reported on TEAMM Network member, Dr. Ismail Fidan from Tennessee Technological University, who created a new “train the trainer” 3D printing workshop called the Additive Manufacturing Studio aimed at STEM educators. 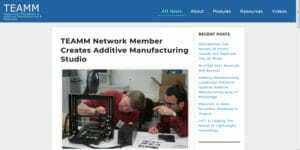 The Studio is a nationwide program that has grown out of a larger project: The Additive Manufacturing Workforce Advancement Training Coalition and Hub (AM-WATCH). AM-WATCH is being established to address gaps in the knowledge base of 21st century technicians to ensure they are prepared for advanced career placement. Since most of our readers will agree that Additive Manufacturing (AM) is changing the way we design and produce a wide range of products (and that term does not cover the diversity of objects being produced), there is and will be a growing demand for technicians in the industry. The Additive Manufacturing Studio for STEM educators mentioned above is part of this AM-WATCH project. Keep up with what Tennessee Technological University is doing with their Additive Manufacturing program here: TTU AM-WATCH website.